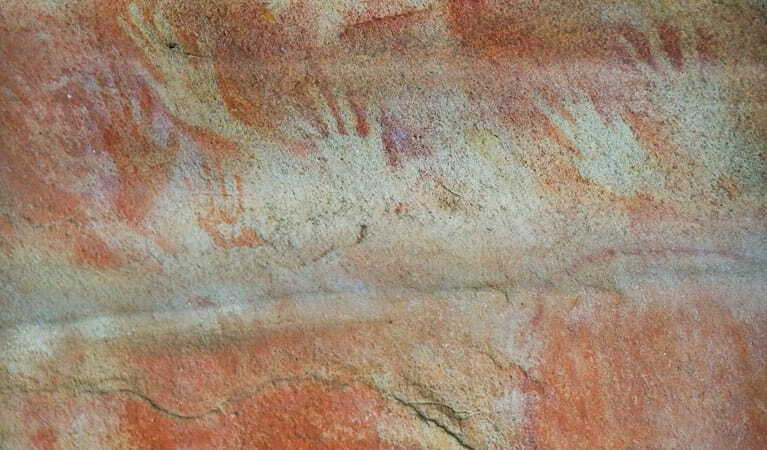 Red Hands Cave is reached via the 8km loop Red Hands Cave walking track, which starts at the causeway near the park entrance. 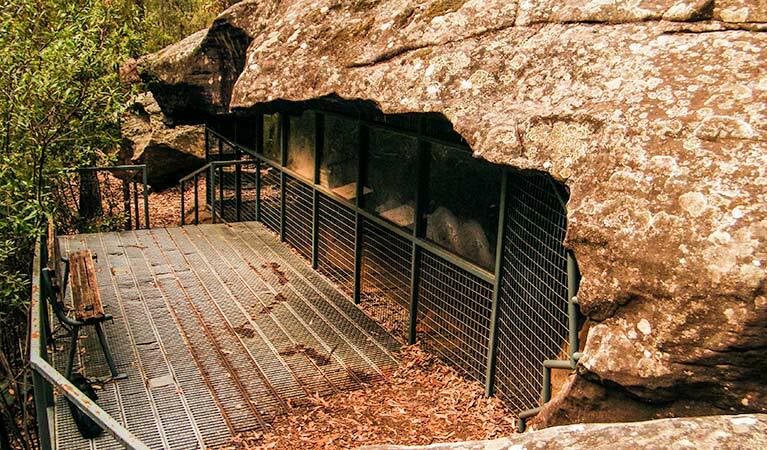 You can also drive around 13km past the park entrance, along the unsealed Oaks trail and Red Hands trail, to Red Hands Cave carpark, for a 1km return walk. 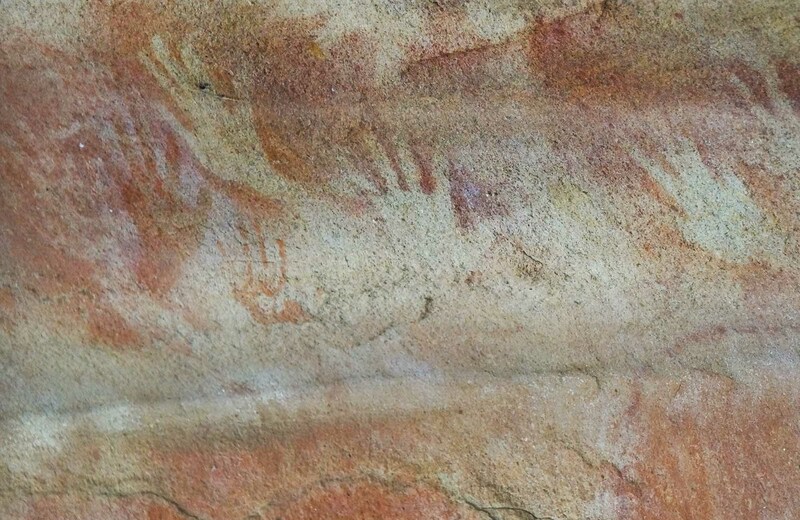 Please respect this precious site and help protect it by not touching the art and avoiding flash photography. 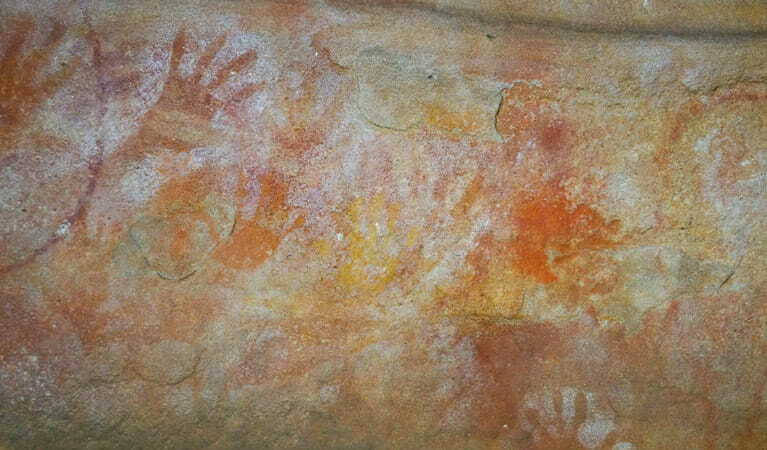 Accessed along Red Hands Cave walking track, near Glenbrook, Red Hands Cave will mesmerise you with its layers of hand prints and stencils; one of the best examples of Aboriginal art in the Blue Mountains.